Fully stainless steel construction. 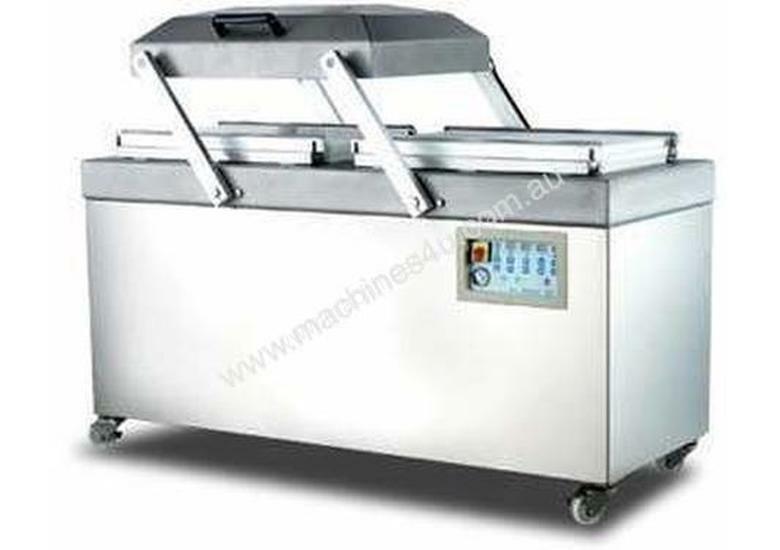 Platen type table ensures easy cleaning and product handling - without space restriction. Two vacuum chambers configuration permits alternative operations for one operator. To decrease waiting time of opening the cover for upgrading packaging efficiency. Highly efficient European vacuum pump. Ã¢â‚¬Â¢ Equipped with casters with brake for easy moving. Ã¢â‚¬Â¢ Microcomputer control system & electrical panel are waterproof. * Other options may be available - please check your requirements with our sales staff. * Pricing of options is valid only if ordered together with the machine (additional freight costs will incur if ordered separately).